Delve into Sweden’s rich Viking heritage and explore 2,500 years of history in one day on this tour from Copenhagen. Cross the Øresund Bridge and head into the Swedish countryside with your guide. 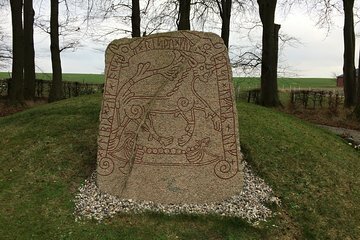 Visit sites of interest including Kåsaberga, Ystad, and 16th-century Svaneholm Castle, and learn of the mark the Vikings left on the land. Along the way, discover sites of Bronze Age intrigue including burial mounds and rune stones.